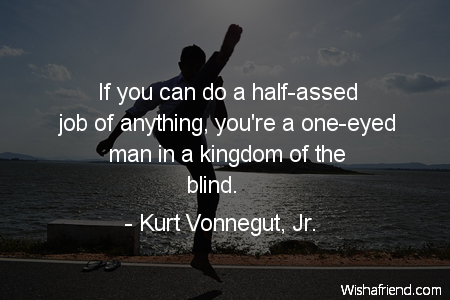 Kurt Vonnegut, Jr. Quote: If you can do a half-assed job of anything, you're a one-eyed man in a kingdom of the blind. Browse our collection of Effort quotes and sayings. Share Effort quotes with friends and family.